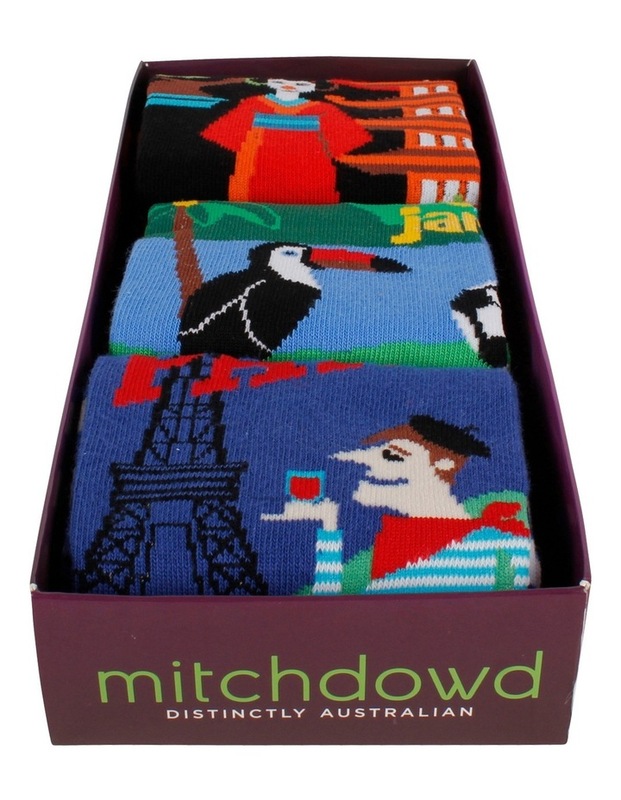 These stylish mitch dowd men's 3 pack crew socks gift boxes feature all over destination designs with a contrast colour toe, heel and double ribbed cuff. Perfect for everyday wear or gift giving. 3 x unique socks with all over design, contrast colour toe, heel & double ribbed cuff. 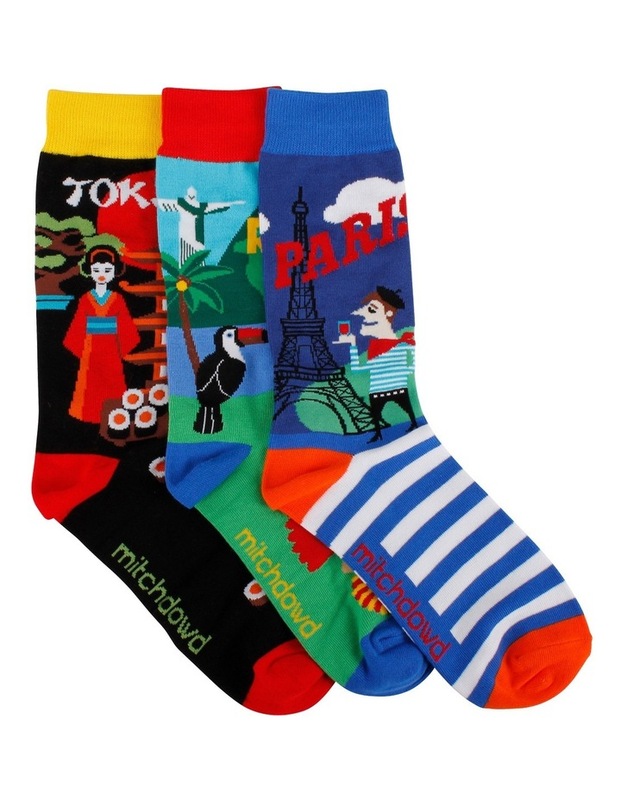 Colour: multi, size 8-13, cotton/nylon/elastane. Warm gentle machine wash. Style No. XMDM837.